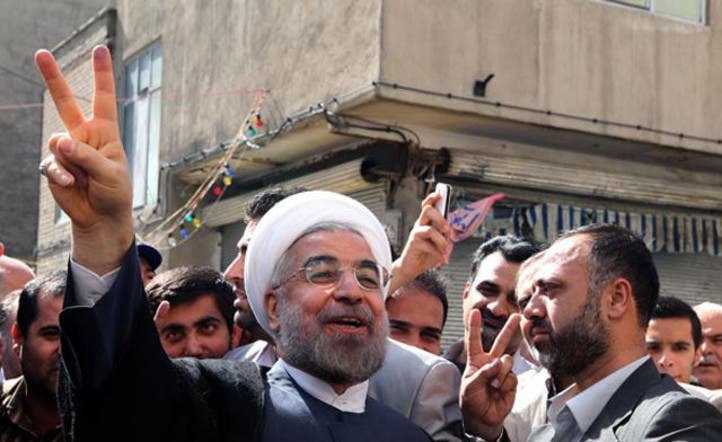 Moderate cleric Hassan Rowhani won Iran's presidential elections, scoring a landslide victory over his conservative rivals without the need of a second round run-off, Interior Minister Mostafa Mohammad-Najjar said on state television on Saturday. Najjar said 72 percent of the 50 million eligible voters had turned out to vote, and that Rowhani had secured 18.6 million votes, just over the 50.71 percent of the vote needed to avoid a run-off. Here are the final results of the Iranian elections as calculated by Reuters from the total number of votes cast and rounded. The outcome is unlikely to change Iran’s long tense relations with the West, or change its disputed pursuit of nuclear power or lessen its backing of the Syrian regime- matters of national security that remain the domain of Supreme Leader Ayatollah Ali Khamenei, according to Reuters. The president, however, runs the economy and wields important influence in decision-making and Rohani’s meteoric rise could offer latitude for a thaw in Iran’s foreign relations and more social freedoms at home after eight years of confrontation and repression under hardline President Mahmoud Ahmadinejad, who was legally barred from seeking a third consecutive term. But Rowhani is a moderate who has pledged to engage more with world powers in hopes of easing crippling economic sanctions. Rowhani headed Iran’s nuclear negotiating team in the early 2000s under reformist president Mohammad Khatami. He has been an outspoken critic of outgoing President Ahmadinejad, accusing him of needlessly antagonizing the international community. The 64-year-old has said there will be “no surrender” to Western demands in talks on Iran’s controversial nuclear program but has promised a more constructive and less adventurist approach, , according to AFP. France on Saturday acknowledged Rowhani as Iran’s new president, saying it was “ready to work” with him on issues ranging from Tehran’s nuclear drive to the Syria conflict. “The expectations of the international community with regard to Iran are significant, especially about its nuclear program and its involvement in Syria,” French Foreign Minister Laurent Fabius said in a statement, according to AFP. 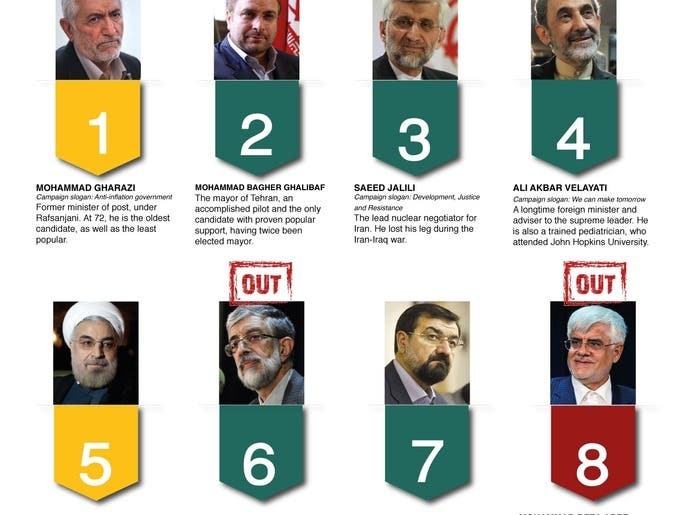 Rowhani’s wide margin revealed a broad reservoir of pro-reform sentiment with many voters, undaunted by restrictions on candidate choice and campaign rallies, seizing the chance to repudiate the dominant hardline elite over Iran’s economic woes, international isolation and crackdowns on social freedoms. In an apparent move to convey political continuity to both domestic opponents and Western adversaries, Khamenei said that whatever the result of Friday’s election, it would be a vote of confidence in the 34-year-old Islamic Republic. “A vote for any of these candidates is a vote for the Islamic Republic and a vote of confidence in the system,” the top Shiite cleric’s official Twitter account said. Iran’s rial strengthened about 4 percent against the U.S. dollar on Saturday after partial vote tallies pointed to are sounding Rowhani victory, web sites tracking the currency said. Celebratory crowds assembled near Rohani’s headquarters in downtown Tehran a few hours before his victory was confirmed. “Long live reform, long liveRowhani,” a reporter at the scene quoted the crowds as chanting, according to Reuters. “Ahmadi, bye bye,” the crowds chanted in a reference to Ahmadinejad, another witness there told Reuters. 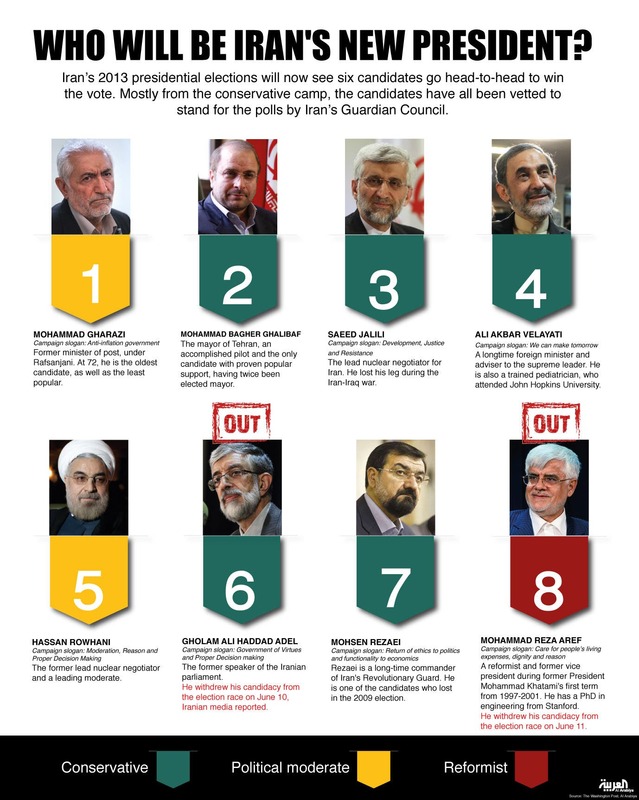 Iran elections 2013: A race between a reformist and a principlist? 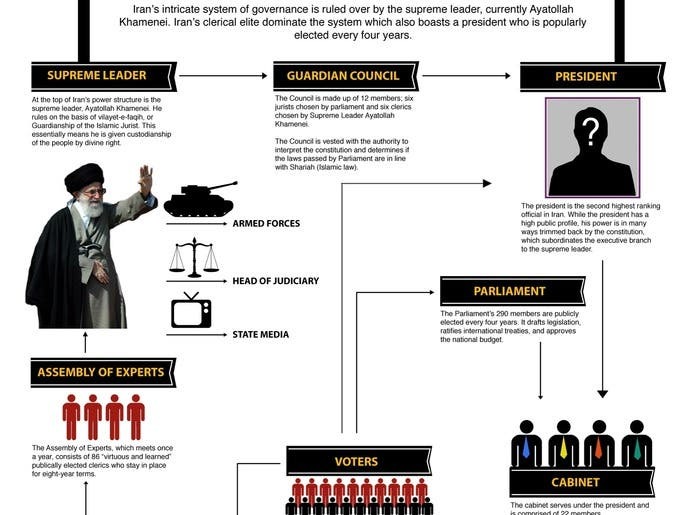 Who will win Iran’s ‘alternative, virtual’ vote?